Slack is a very popular corporate messenger. While chatting with co-workers, you may often find yourself needing to share some files. Within a team, it’s common to have to send large video files, zip folders or photo files related to a project, but this may present a problem, because file sharing functionality on Slack is very limited. So we have decided to make a list of the best solutions for sending files or folders on Slack, no matter how big those files might be. No more wasting your time. Let’s improve your file sharing experience on Slack! The best way to send large files on Slack is to use third party file sharing apps that support integration with Slack. Google Drive. If you use Google Docs for your projects, we recommend installing the Google Drive app. This way you can easily import an existing file from Google Drive into a channel or direct message. You also get the options to automatically grant access and reply to comments directly from Slack chat. Easily share photo and video files that you store on your Google Drive with your team. Microsoft OneDrive. Microsoft OneDrive app will help import all your files stored on OneDrive, and also SharePoint files, directly from Slack. All imported files will be searchable and shareable in Slack. A great feature is that files in OneDrive and SharePoint stay in sync. Dropbox. This app will import files stored in your Dropbox account into Slack for easy sharing with your team. Just use the Add File button in Slack or include a link to the file in a message. Imported files are searchable and shareable, but will continue to be stored in your Dropbox account. Box. This app will import Box files into Slack. Imported files are searchable and shareable in Slack. When the corresponding Box file is updated, files imported to Slack will be automatically updated too. FileWhopper. Need to share a really large file? The easiest way is to use FileWhopper. 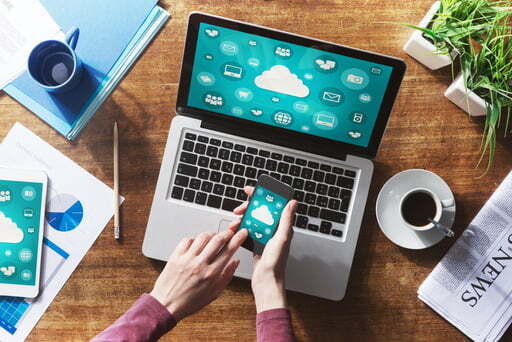 This service lets you transfer files and folders up to 1TB in size. Sounds impressive, doesn’t it? Your first file transfer up to 5GB is free, so you can safely try the service. FileWhopper is not integrated with Slack, but after uploading your large file with the FileWhopper desktop app, you will get a file download link that you can share with your team in a Slack channel. FileWhopper is a great way to share really huge files. So, if you need to share any type of files with team members in Slack, the 5 options we listed above will come in very handy. Now let’s look at some useful file management tools for Slack. Your Slack chats are getting crowded with images or files? Start using Slack Deletron. Slack Deletron helps you search, manage and delete files from your Slack Workspace. First of all you will need to connect your Slack account to Slack Deletron. Then go through all your files and delete unnecessary ones. Slack Deletron is a very simple and very useful tool. It will help you sort through different types of files and then delete them. Need to keep files in your Slack chats in sync across all your devices? Use Odrive. After getting access to your Slack chats, this app will look for files through all of your channels and direct messages, and keep them in sync. Notifications are automatic, so your team stays organized and in sync at all times! Slack is a great corporate messenger, but some companies prefer using WhatsApp or Telegram for chatting within teams. 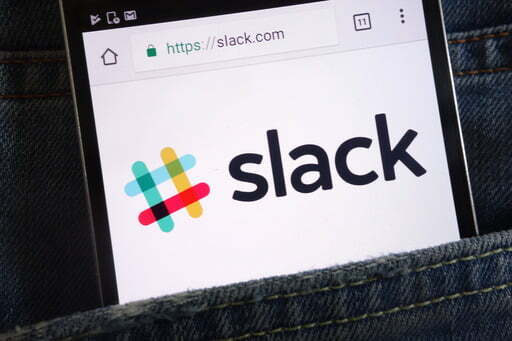 However, IT companies mostly use Slack for managing work space communication and chatting between team members. The best Slack feature is that you get very useful integrated applications and tools that result in increased productivity. We hope that you found something interesting in this list of tools for sharing and managing files in Slack, and can integrate new apps and tools in your work space now. Have some ideas of file management tools for Slack? Let us know in comments below!